The new broadband high power limiters help protect sensitive low power RF receivers and other microwave circuits in close proximity to high power signals. Common applications for coaxial high power limiters include: electronic warfare, instrumentation, fiber optic communication systems, military communications, radar, SATCOM, point-to-point radio, telecom, data links and R&D. Our broadband high power limiters consists of 7 unique designs that provide low leakage power to sensitive control components in the receiver chain while offering good suppression of even-order harmonics under hard limiting. 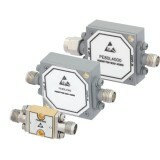 These high power RF limiters operate over a very broad band of frequency ranges from 0.5 GHz to 40 GHz. The new high power broadband limiters provide low leakage power circuit protection of 10 to 15 dBm. 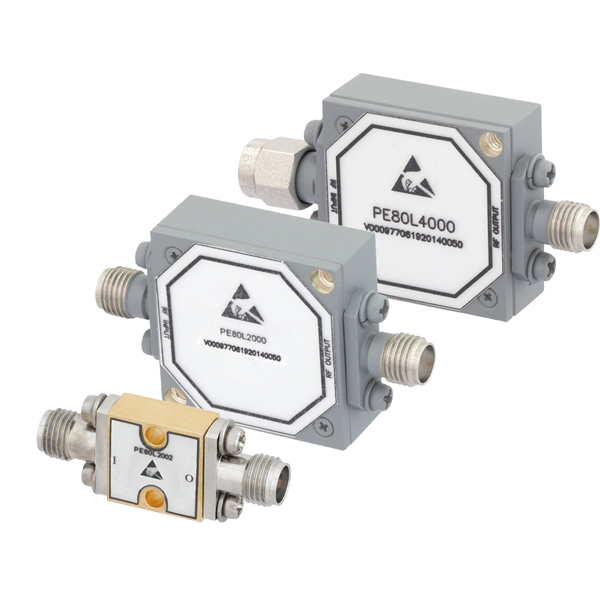 This new selection of RF coaxial high power limiters exhibits high CW power handling up to 200 Watts peak power and fast recovery time of 10 to 100 nanoseconds. The new high power broadband limiters help stabilize generator outputs, provide constant amplitude signals in phase sensitive systems and reduce amplitude variation in frequency modulation (FM) systems. The 50 Ohm hybrid designs incorporate complete limiting diode circuitry and do not require any external matching components. These broadband RF/microwave limiters offer a guaranteed operating temperature range of -54° C to +85° C and are constructed with high-rel, ruggedized packages that are designed to meet MIL-STD-202 environmental conditions for humidity, shock, vibration, altitude and temperature cycle.